When I’m performing wedding photo shoots in Verona I know I’m dealing with a married couple who for their wedding photos has chosen a scenario which Shakespeare has baptized as “the city of lovers” in his immortal “Romeo and Juliet”. What a good choice! Verona is for me the symbol of a love that is committed to last forever, just like Verona itself, whose history has lasted well over 2000 years. Verona in the centuries has grown rich in details, in architectural works, in art and culture. For these reasons Verona is an ideal city for a wedding photographer, both for the beautiful images that can be impressed forever in the album of the spouses, both for wedding videos that can be produced, why not, even with the support of a modern drone, which offers the view of the beautiful city even from new and unexplored prospects. For me, an italian wedding photographer, Verona is magic because it allows me to do photo shoots even during the “blue hour”, just after sunset but before night falls, maybe near the Scaligero Bridge at Castelvecchio , a scenario that can give very original and romantic shots that will make the album of your wedding photos even more beautiful. Verona is appreciated by married couples (and by wedding photographers too) from all over the world for its famous association with many famous personalities of history and literature, from the aforementioned William Shakespeare to Dante Alighieri and Goethe, from Stendhal to Carducci; a wealth of history, and stories, which can be the setting for the marriage of people who love culture and who want to capture their most beautiful day in a place full of photographic opportunities among the most suitable for the occasion. If you are interested in contacting a wedding photographer in Verona contact me by phone or e-mail to evaluate your needs together and to study together how to make a magnificent wedding photo report and possibly also for your wedding-video! I look forward to help you! 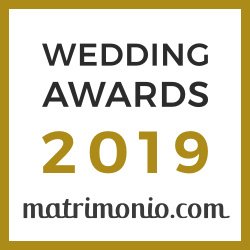 Fotoexpress, since 1990, has been doing wedding photography in all of Northern Italy, and has been receiving awards for the professionalism and quality of its work for years. So if you are looking for a wedding photographer in Verona, Fotoexpress since 1990 is the answer. Contact me or look at my portfolio. With our video wedding service we also make wedding videos, to capture all the magic of the most beautiful day in the magical Verona.